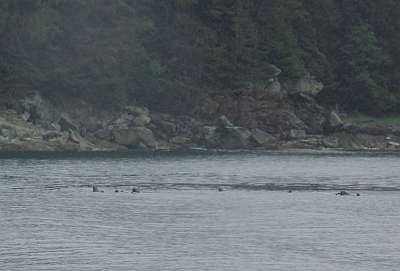 While in Juneau, we took a whale watching cruise. 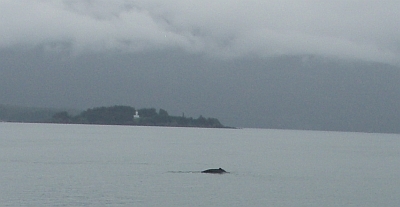 Here are some pictures of a humpback whale. 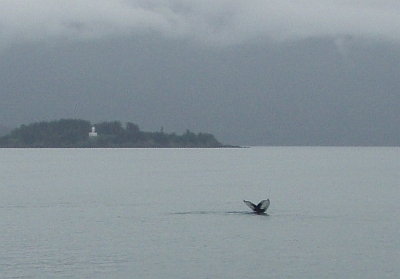 The tail fluke, shown below, is as big as a pickup truck. 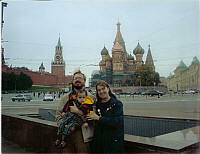 and on the land. They look like a bunch of slugs, but when one of the males started throwing his weight around, the females quickly darted out of the way. 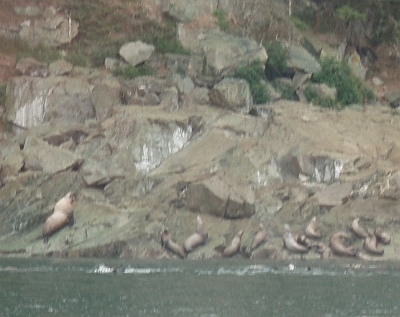 They can move very fast on land when they need to. 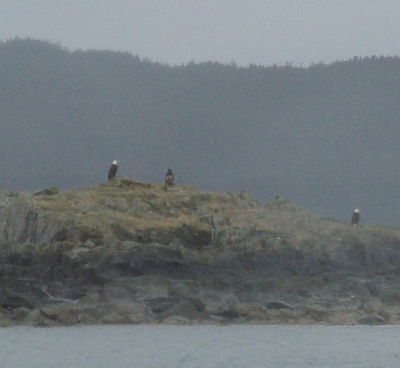 On another small island, we saw two adult bald eagles and one juvenile. 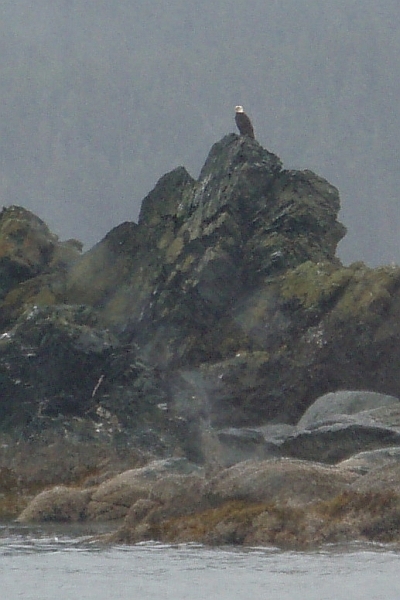 Here's another picture of a bald eagle on a different island.